The ship is named after the Lofoten archipelago, which lies just north of the Arctic Circle. Famous for their dramatic scenery, the islands are often described as `nature´s masterpiece’. With its unique lounges and panoramic decks, MS Lofoten is inimitable in its own right. 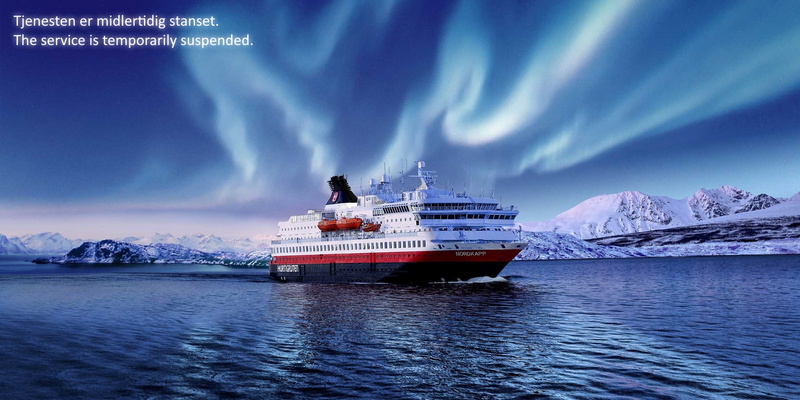 Get ready for a classic Hurtigruten experience onboard this beauty! The highlight of MS Lofoten is her authenticity. Much of the ship’s original décor has been lovingly restored and maintained, such as wood-panelled interiors, various brass fittings, original art, and porthole windows. She boasts comfortable lounges, generous panorama decks, and simple, cosy cabins. All add to her charm as a firm favourite for past guests. Her long-standing years of service mean she is also officially protected as a key part of Norway’s maritime heritage, and rightly so. Our Polar inside cabins are situated on the lower deck and offer a cosy atmosphere. All I2 cabins have a private shower/WC. All cabins have upper and lower berths, and the lower berth converts into a sofa. Some of the cabins have berths on the floor, while others have upper and lower berths. The cabins have wash basins inside and a shared bathroom/WC in the hallway. Some D1 and D2 cabins on B-deck have a porthole, which may be locked during bad weather for safety reasons. The Polar outside cabins on MS Lofoten are situated on the upper, middle and lower decks. All have private bathrooms with shower. All of the cabins have separate berths, some that convert into a sofa, while others offer upper and lower berths. Some of the cabins have more facilities than others. A2 cabins on the Saloon deck have larger windows.